If you will be out of the county or unable to vote on election day. vote absentee! Click the button above and fill out the form to vote absentee. Print and sign it. Take it to the post office to mail and inspect the postmark before mailing. The postmark date MUST be legible to be accepted. Check it! See the example below for more information on what to fill out on the application form. Your ballot will be sent to the location you put on the form. Be sure you can access that location. 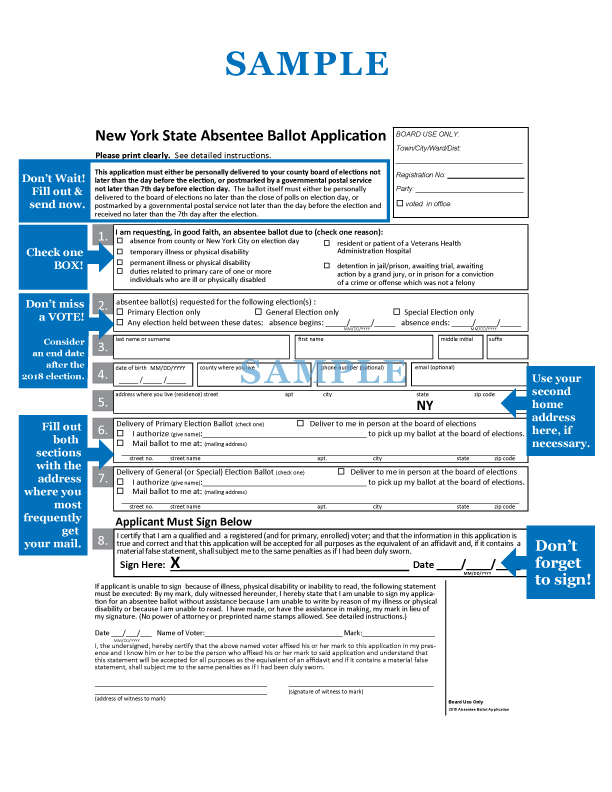 Once you receive your ballot, fill it out, and mail it back immediately with a clear postmark. If you have any questions, please call the Board of Elections and ask to speak to a Democrat.